Cast: 3 m, 5 w, 7 flexible. Theatrical producer J.W. Allsworth is putting together a spectacular holiday production promising to use 100 authentic elves for the big finale. Phelps, the head elf at the North Pole, says he will have the exact number of singers and dancers at the first rehearsal. He’ll keep it as a surprise for Santa when the money earned will pay off the workshop mortgage. But when Phelps comes up short of elves because Santa has already downsized the staff, Phelps must organize a worldwide search for all past employees. He finally comes up with exactly the required number, including Gustavia, the oldest elf in the world, now living in Florida. However, a staged snowstorm effect freezes her solid as she waits in the wings for her entrance. With only 99 elves to go on stage, panic sets in. Now the sponsors will pull their funding, J.W.’s agency will go under, and Santa will lose his workshop. Can J.W.’s long-buried secret save the show? 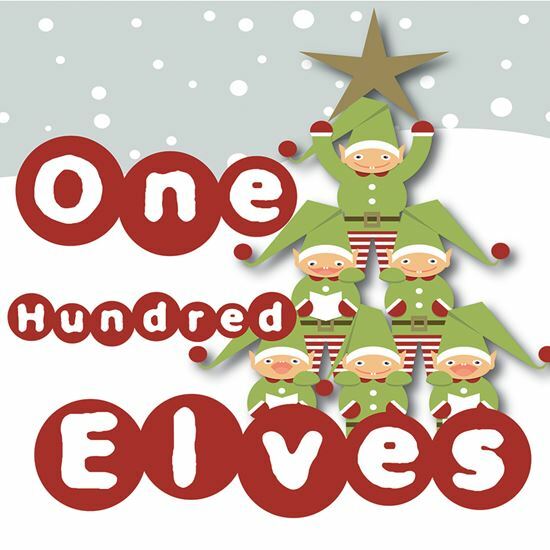 A: I wrote "One Hundred Elves" originally as a musical in honor of Radio City Music Hall's centennial year. It originally included 100 children from my performing arts school as the singing and dancing elves. A: I identify with Phelps, Santa's head elf, who seems to always get in over his head. Like writing a show for a chorus of 100 and then realizing how many sets of elf shoes, hats, and ears that is. A: I have always had an affinity for short people, having been one myself when in the company of adults. So naturally, my favorite characters are elves. I guess I could have become equally fond of leprechauns, munchkins, fairies, and trolls, but they have serious social issues I prefer not to deal with. A: My original intent was to give 100 kids a fun show to do for the holidays. One of them fell off the stage, a little girl elf cried loudly during the entire finale, and several backstage chaperones experienced severe psychological trauma, but all in all, the production went well. A: This one of the few shows I have produced where the cast leaves every rehearsal laughing. It's just plain fun!